KEN YUSZKUS/Staff photo. 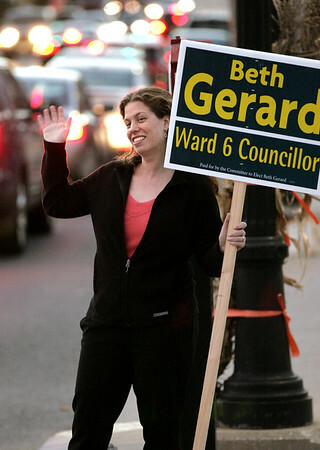 Ward 6 City Council candidate Beth Gerard waves to the passing vehicles at the corner of North Street and Franklin Street in Salem. 11/02/15.